Figure 5. The large Bouree bathypelagic net invented by Henry Bouree and used on the PRINCESS ALICE II in 1910. 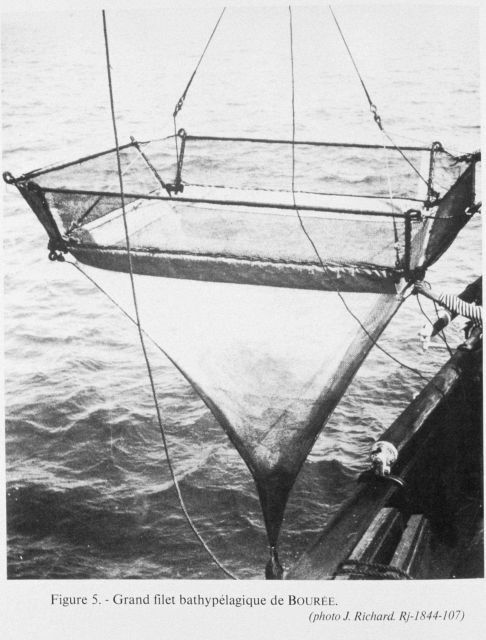 This vertical sampling net was tested in 1910 between the depths of 0 and 4900 meters off the coast of Spain. It was meant to capture pelagic animals from the greatest depths of the sea.